All transactions are safe and secure with a reliable history in online purchasing behind each of our associates. 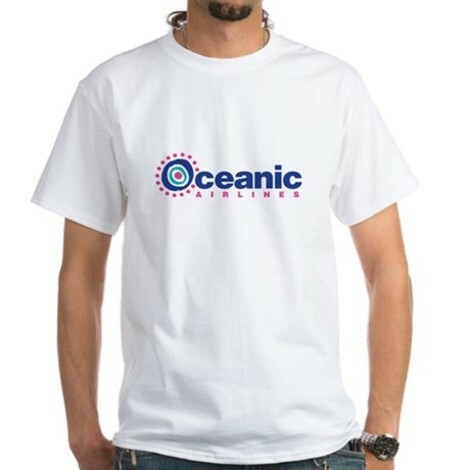 Buy the Oceanic Flight 815 t-shirt to own Lost clothing and merchandise. This popular Oceanic Air Lost tee pays tribute to the doomed airline, the leader in island travel. The front of these Lost t-shirts let everyone know that you survived Oceanic Airlines Flight 815. Available in a variety of styles, this Lost clothing item is perfect for any fan of the ABC TV show. See the Oceanic Airlines Lost hat. In addition to the Oceanic Flight 815 tee above, browse the Lost Clothing Gallery for more apparel like men's and women's clothes, kids shirts or hoodies.